Industry professionals, including representatives from leading oil majors, terminals and key storage players from over 80 countries worldwide, gathered at the event to see the latest innovations, discuss best practice and tackle the industry’s biggest challenges. 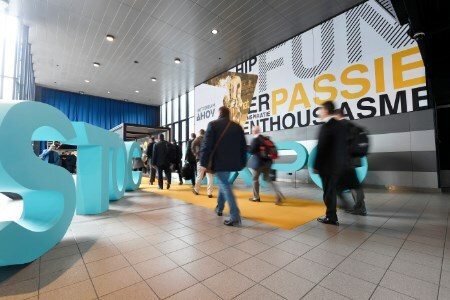 Emerson, Honeywell, J. de Jonge, Matrix Applied Technologies, Siemens and Verwater were among the 200 suppliers, partners and industry associations that exhibited at the show, with several using the event to launch new products to the market. Key terminals, such as Stolthaven Terminals and Inter Terminals, also exhibited for the very first time, making it bigger and stronger than ever before. Over thirty thought-leaders delivered in-depth sessions, presentations and debates during the conference programme. Steven van Belleghem, the world-renowned motivational speaker, delivered a thought-provoking keynote talk at the start of day two. His session revealed how brands are using artificial intelligence to fuel exponential growth and how the bulk liquid storage industry can use the same principles of data leverage, effortless user interfaces and augmented intelligence to win business and maintain high levels of customer service. Key industry challenges, developments and solutions, such as IMO 2020, the rise of new technologies – AI, cyber-security and automation – geopolitical uncertainty and the energy transition, were discussed by CEOs, terminal managers and analysts from companies such as Shell, Alpha Terminals and LBC Tank Terminals during the conference.